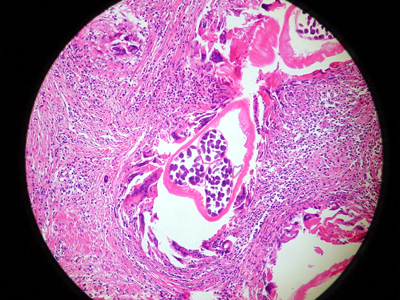 Cutaneous nodule with Onchocerca volvulus in human. 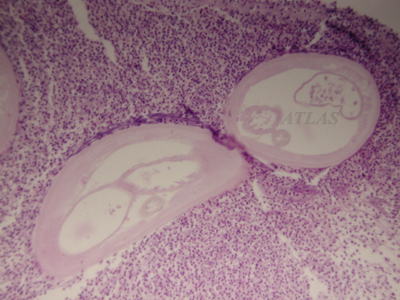 Microfilariae are observed in sectined adult worm. H&E, X100. Tansverse section of Onchocerca volvulus. 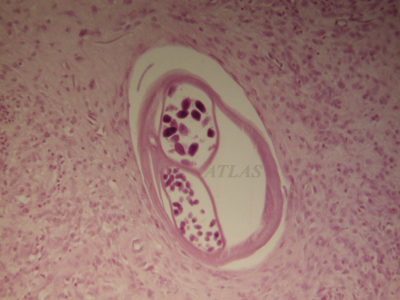 There are many microfilaria in the uteri. 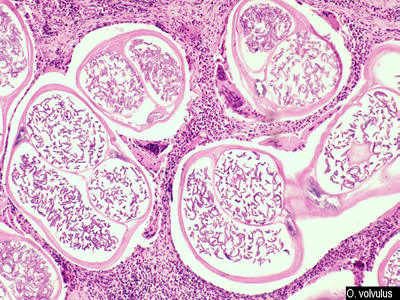 A section of onchocercoma showing internal organs of Onchocerca volvulus adult worms. Note the uteri filled with larvae.